India succeeded in picking up 85 out of 100 English wickets this series while they lost 97. India have come under heavy criticism for their 1-4 loss in the just concluded five-Test away series against England. Their batsmen have been particularly flayed for their butter-fingered handling of the willow, failing to convert close opportunities into victory. However, for a change, the Indian bowlers have been praised for their performance on the tour, something which is not generally seen when India tours abroad. India succeeded in picking up 85 out of 100 English wickets this series while they lost 97. This is a much better show by the bowlers who could pick up only 61 wickets in the five-match series that they played in England in 2014 and lost 1-3. In 2011, Indian bowlers picked only 47 wickets against England in a four-game series on their soil and lost it 0-4. 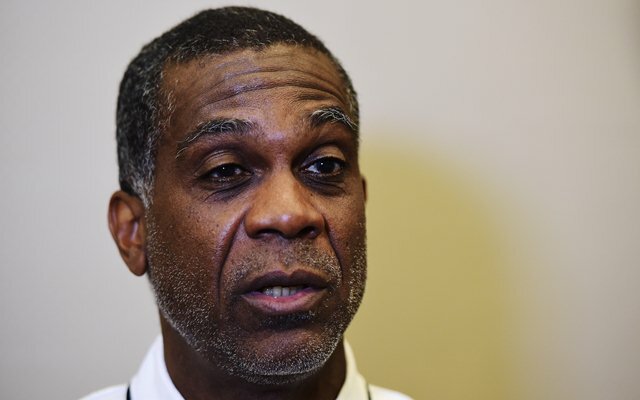 Former West Indian quick Michael Holding did not forget to praise India’s bowlers and said the bowling of the side led by Virat Kohli is the best India has seen in a long time and applauded the bowlers’ skills and persistence. “This is an outstanding Indian pace attack. You know, everyone has said this is the best bowling attack, not just the pace attack, they have seen India have. I can go beyond, to the early 1970s, and certainly, this is the best bowling attack India have had,” 64-year-old Holding was as quoted as saying by Hindustan Times. Holding, who was called ‘The Whispering Death’ in his playing days, particularly praised the fitness level of Indian bowlers. He spoke out pacers like Ishant Sharma and Mohammed Shami who bowled consistently through the series. India’s only injury concern in the bowling department surfaced in the third Test when their main spinner Ravichandran Ashwin sustained an injury and played with it in the next match only to fail in the game. While Sharma picked up 250 Test wickets in the series, Jasprit Bumrah returned from an injury to take a five-wicket haul at Trent Bridge. Sharma finished as the highest wicket-taker for India in the series with 18 scalps.